Forget riding with mushy, unresponsive brakes on the road or trail. Pick up the Magura Small Bleed Kit to get the taught and responsive braking feel with your Magura hydraulic rim and disc brakes. 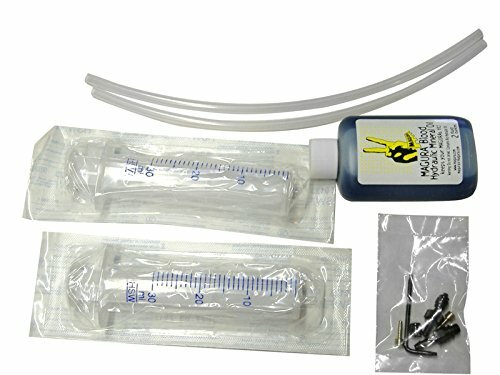 This kit contains everything you need to bleed out your brakes and it's small enough to take on the road to your favorite riding destination. If you have any questions about this product by Magura, contact us by completing and submitting the form below. If you are looking for a specif part number, please include it with your message.